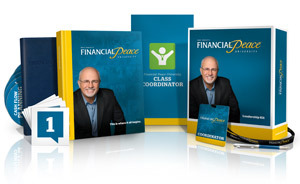 Financial Peace University was previously 13 weeks long and classes were two hours long. 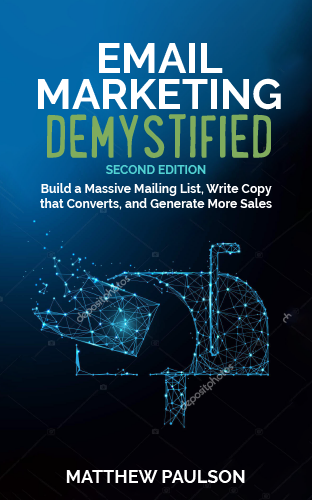 The new version has been condensed down to 9 in-person classes and 2 additional classes online. Classes will now only be 90 minutes long. The company explained the move noting that families are a lot busier than they used to be and wanted to put FPU in a format that was accessible to more people. The 2012 edition will place a much more significant focus on biblical financial principles and scripture itself. The company said that the additions were result of a significant amount of prayer and discussion. I would also guess that churches make up the vast majority of Financial Peace University classes and the company is naturally adjusting its product to match its customer base. Financial Peace University will now place a much larger emphasis on budgeting. The company’s research showed that families that did zero-based budgets in the manner provided by the lessons pay off debt much faster than those that use other budgeting tools or don’t do a budget at all. I think this will be a positive change for the course. The 2008 edition had budgeting content, but it wasn’t reinforced well in the later lessons. Dave Ramsey has been building a speakers group of sorts during the last few years. The 2012 edition will see Dave joined by Rachel Cruze (Dave’s daughter), Jon Acuff and Chris Hogan. Cruze will likely speak to relationship and college issues, Acuff will speak to career issues and Hogan will speak to real estate issues. Membership kits will now be available for $89.00 retail (they were previously listed at $99+). The leadership kit is available for $249.00. The most notable change in the kit is that it now comes with Dave Ramsey’s Complete Guide to Money in lieu of Financial Peace Revisited. The Complete Guide to Money follows along with the lessons of Financial Peace University. More details on the member and leadership kits can be seen by clicking this link. Overall, I think the company made some good changes to the class. I think the content changes are necessary and appropriate and I’m thankful to hear that the lessons will be more compact. Time will tell if the addition of members from Dave’s speaker’s group as teachers will play over well. We’ll be offering the new class this fall at Central Baptist Church in Sioux Falls, SD if you’re interested in joining us. The full webinar (27 minutes) can be viewed on YouTube at this link. Your review is helpful and all of the changes sound really great, with one exception. Perhaps it was just me, but the 13-week length was important in building habits. It wasn't until the very end that I felt fully comfortable with the changes in lifestyle and started really seeing results. Having the support of the class for only 9 weeks might be a bit too short. On the other hand, I think that mixing up the presenters will be very beneficial. Jon Acuff is great and Chris Hogan is insightful, as well. Mixing in the younger speakers may help in connecting with the teens and newlyweds that are mixing in to the FPU classes, too. Thanks for the review. I've been thinking of sending my young-adult children through FPU and this might just be the tipping point to make that happen. Good summary. I plan to lead my first FPU this fall after going through it last fall. Will there be "supplements" available for those who have already taken the old class, to take it again, since the materials have changed? For example, I took the class, a few yrs ago, as a single parent. Now I have remarried, and my new husband has not taken it. We were told we could come back and retake the class anytime with my materials, and not have to pay the price again. Now the materials have changed. Rather than charge us for all new materials, will there be a supplement booklet to accompany the old book, so that we can follow along with the new materials anyway? I think this would be a good idea. We are now a household of 4 teenagers and 2 adults instead of two households of 2 teens and 1 adult each, (actually we haven't found a place big enough that we can afford, so we are still in 2 places! Ugh!) So, we are hoping a supplement is in the plans so we do not have to buy all new stuff for him to take the class as well. You can just buy the new workbook for $15 without the rest of the kit. Your coordinator should have more information. Danny – Talk to your church rep. Ours said we can order the leaders kit for $99 since we had previously purchased the kit. Can we return unopened kits that we had purchased bulk? Will there be a homestudy option. My husband is a truckdriver and we have 3 kids. Its going to be way easier for me to do this at home . Yes. You can get the same FPU kit, but with the DVDs instead of Audio CDs of the lessons in the DVD Home Study Course. I think the only thing missing (from the leaders kit) is the Leaders Guide.